With full cannabis legalization hitting Canada on Oct. 17, investors are wondering which pot penny stocks should be on their radar. And the top marijuana penny stocks to watch right now are companies that can offer services throughout the globe. You see, it doesn't matter where marijuana is legal. These companies have services or products that are borderless. That makes them two of the top pot stocks to watch right now. Pot Penny Stocks to Watch, No. 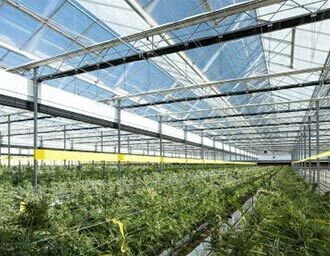 2: Leafbuyer Technologies Inc.
Headquartered in Colorado, Leafbuyer Technologies Inc. (OTCMKTS: LBUY) offers discounts and deals for marijuana on its website. It also provides information about marijuana laws and estimates on cannabis prices. We're watching LBUY today because the company is developing a "large-scale platform based on blockchain technology," according to MarijuanaStocks.com. There were few details released by the company in its Feb. 14 announcement. But the company did say blockchain technology will allow users to register and participate in "special deals." You see, the blockchain technology could streamline purchasing marijuana online. Through a blockchain program, the technology could identify who is a medical marijuana patient or an individual who lives in a state where recreational marijuana use is legal. 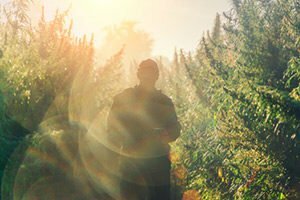 The cannabis user could then theoretically pay for marijuana using the blockchain. The dispensary would receive its part of the sale, and Leafbuyer could receive a commission for promoting the deal. With a streamlined process, more dispensaries may want to pay Leafbuyer to promote deals. To be clear, Leafbuyer did not say this is how its program will work, but it's just one way blockchain technology could be used to generate more income for LBUY. But we're still excited about the future. Blockchain technology is in its infancy, and the global blockchain industry was worth just $339.5 million in 2017, according to Statista. Statista expects that to skyrocket 577.46% to $2.3 billion by 2021. 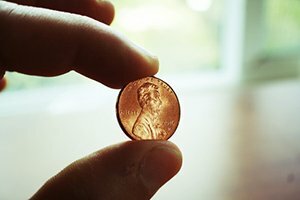 Marijuana Penny Stocks to Watch, No. 1: Blue Line Protection Group Inc.